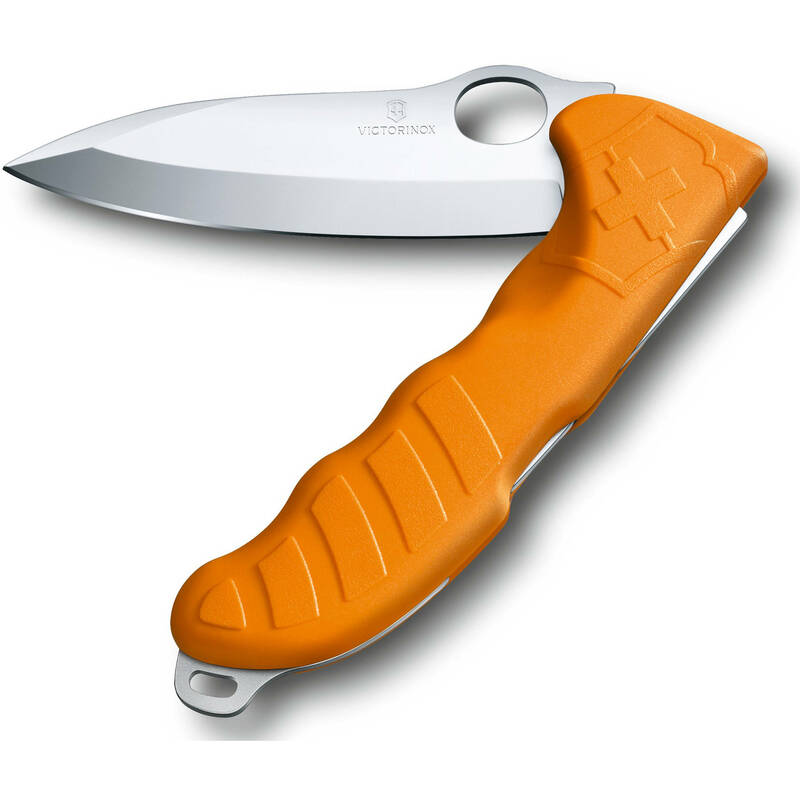 The Victorinox Hunter Pro M Folding Knife gets an upgrade from the standard version with the addition of a large finger ring on the heel of the blade that gives you the leverage you need to open the knife with one hand—making deploying the blade while you're in the middle of a job faster and easier. Its full straight edge stainless steel blade is configured as a drop point to make it an invaluable daily use everyday carry blade for a wide variety of cutting applications. The handle is thoughtfully designed with finger grooves to add grip strength and stability, and it is made of a polyamide material that is tough, durable, and easy to clean. For safety, the blade locks open with a strong and dependable lockback mechanism. This version of the Hunter Pro M comes with an integrated lanyard hole on the bottom of the handle and a faux leather belt holster.